Yesterday I was jokingly accused of “Silhouette pimping” on Facebook , to which I guess I will have to plead guilty ;)! Gosh I love my Silhouette so much! What is not to love about having the magical ability to cut out anything you can possibly desire with the simple click of your mouse!? I seriously would spend all day long cutting things if I had the time – as an added bonus, it totally sounds like a hungry robot when it is cutting… who hasn’t dreamt of having their own robot!?! They really should pay me for this stuff I totally am a pusher!! More arrows – but who doesn’t need more arrows!? These funky arrows from chictags.com are so so fun!! These sketchy circles are crazy cool! 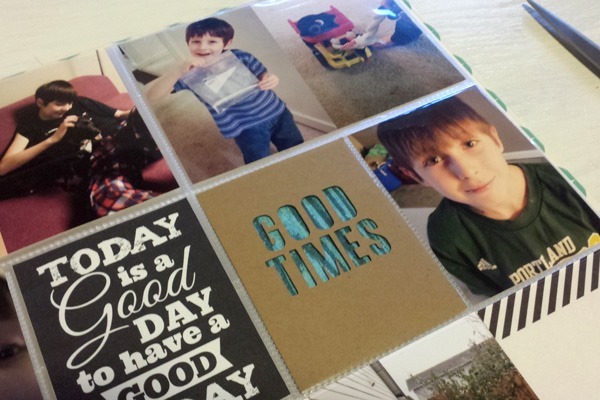 Scrapbook & Cards Today has them for free on their blog – my less-than-symetrical brain is in heaven! Oh, and I would be remiss if I didn’t link to these! Awesome STAR WARS Snowflakes!! I made these for my hubby and he was so excited! You can get the free SVG file HERE. Now, this isn’t a free cut file per-say, BUT if you have loads of digital elements you would like to make into paper goodies THIS tutorial by Heather Greenwood over at the Sweet Shoppe is awesome!! I’ve already printed out loads of tags and tabs from SSD using this method, SO easy and SO awesome! I totally am going to do this with my elements from my 167 Smash up Mash up next! The printable sheets will make it a totally cinch!! Well, I couldn’t bear to put together my free cutting files list with out getting in on the action myself! I’ve been using my Silhouette on my project life layouts and LOVING the versatility – So I put together these cutting files for you too – 3×4, 4×3 and 4×6 sizes, these are awesome with a little pop of patterned paper behind them! You can download these free cutting files HERE. I have included the studio file (since it is a freebie), the svg file, as well as the file in illustrator format and also as png files for anyone who just wants to use them individually – please not these files are for PERSONAL USE ONLY. So cut goodies out for yourself but please don’t use them for your own designs, for sale or for free. If you like them hit that “pin it” button or share on facebook for me too k?? I would LOVE to see what you do with them as well!! Well that is it for me today – at some point I have to stop ogling my pretty new machine and get back to work! There are like a million things to do with it though and it is so HARD not to want to do them all! But keep your eye out for more ideas (and freebies!) from me, I need my practice before I can get to the big league of making svg’s to sell in my shoppe! If you aren’t already – follow me on Pinterest if you want more inspiration – I have a Silhouette board that I am pinning to all the time! Enjoy your Thursday everyone! AND your new cutting files! More from me soon! Thanks for sharing!! Addicting isn’t it?